Discussion in 'Completed "Other" Sales' started by Connies_Hobby, Jun 23, 2018. 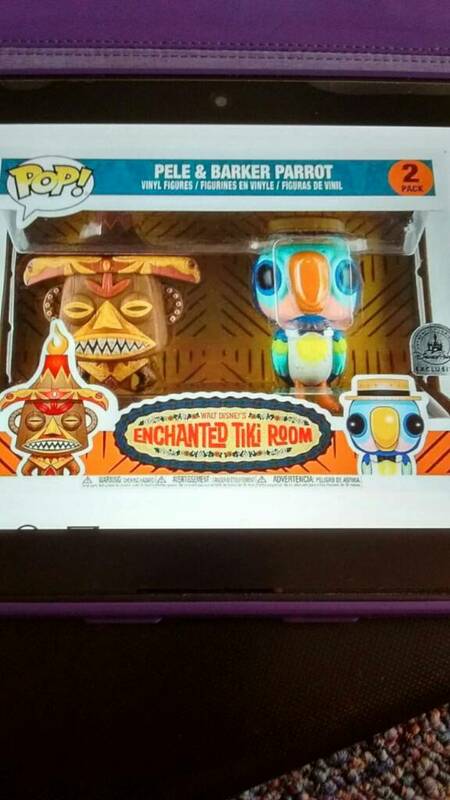 Is anyone interested in a pick up within the next hour of the vinyl figure pop "Pele & Barker Parrot" Enchanted Tiki Room set? I am heading over to the park in a few minutes to do a pick-up. I understand I'm able to purchase 10. The price would be $39 that includes PayPal fees as Goods. Anyone that is interested please send me a message. Unfortunately no dpf mbrs bought one.